This doc is primarily written for Xero users. We strongly recommend that you check with your accountant to determine whether this is suitable for you. This is just to recognise the voucher sale and to credit it to the guest's invoice - it does not handle expiring vouchers, creating gift certificates, or generating receipts. You will need a Current Liability account in Xero called Voucher Sales. 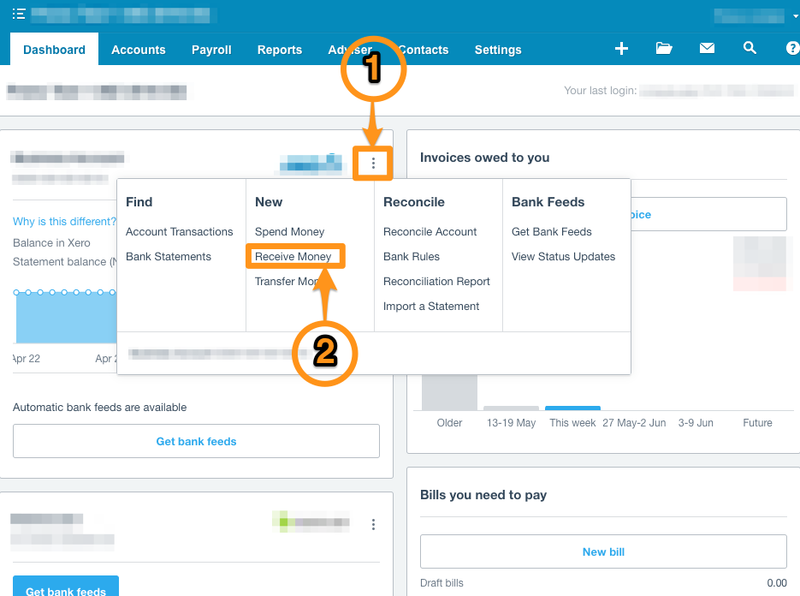 In Xero, click on the 3 dots next to your bank account and then Receive Money. Then change the Received as from Direct Payment to Prepayment. If you know the guest's name, then enter their name as Last name, First name. On the first line item, describe the voucher and select the Account as your Current Liability - Voucher account. Save that Prepayment, and then reconcile it when the money hits your bank account. This prepayment will have a unique invoice number, and you should use that on as a reference number on the gift certificate. If you know the name of the guest staying, you can also go into Preno and Create a New Guest, with information about the gift voucher in the Guest Notes. After you have created the reservation for the guest, you should add a deposit to the booking with the payment method Invoice Guest. This will raise a draft invoice in Xero. Open that invoice in Xero, and then Approve it. 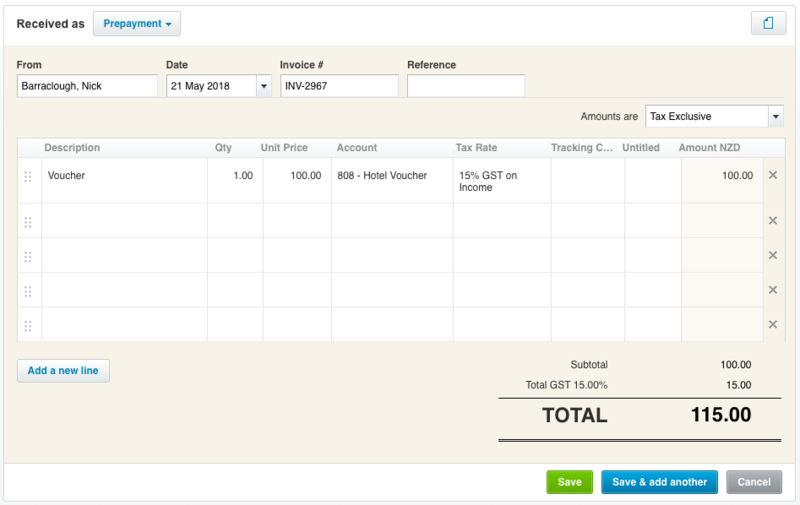 If the gift voucher has the same name as the guest's invoice, Xero will automatically prompt to allocate the voucher to the invoice. Click Allocate, and then you're all done! That money will then be recognised as Accommodation Revenue. Go back to the Prepayment, and then Edit it. 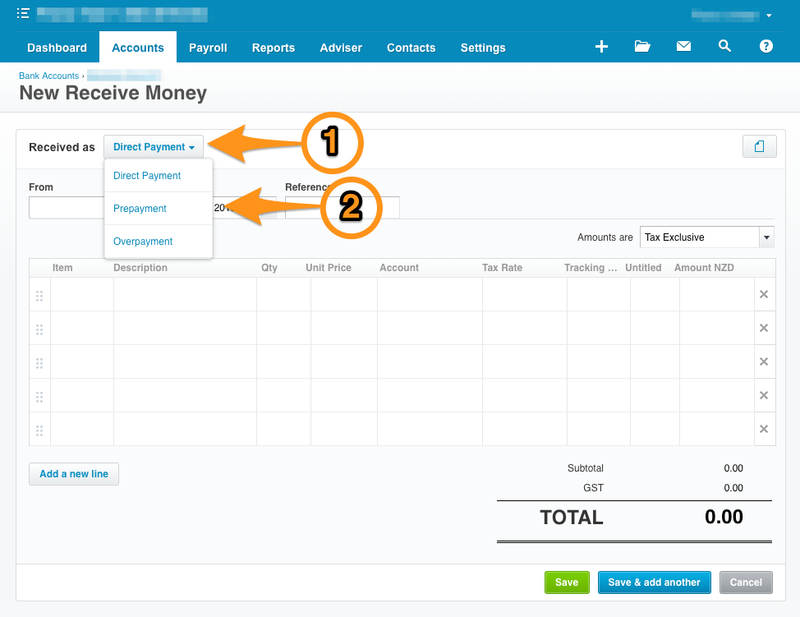 Change the From field to the guest's contact in Xero (it was created when you raised the invoice).